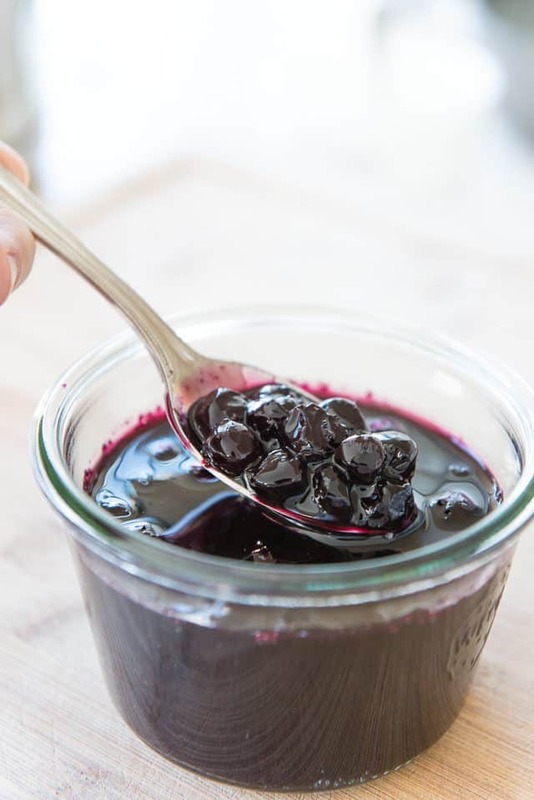 This Blueberry Sauce is wonderful served over ice cream, stirred into yogurt, spooned over pancakes, crepes, or waffles, and so much more! It’s incredibly easy to make and has a lovely citrus berry flavor. I happen to love yogurt, but I’m not a big fan of the pre-flavored fruity varieties. I’d rather make my own fresh fruit sauce and stir it into the plain stuff! 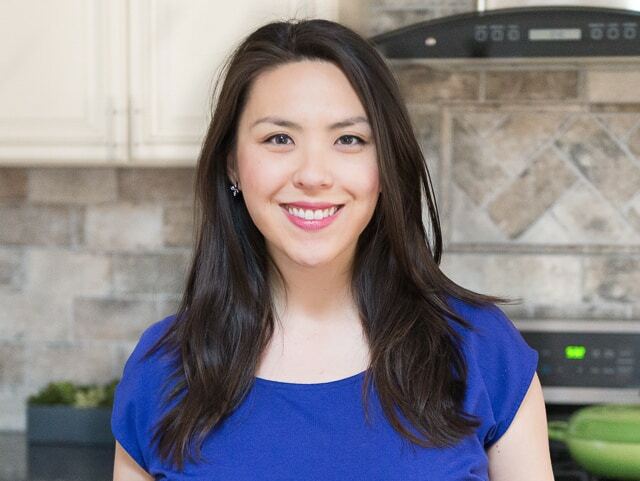 Blueberries in particular are so delicious when they’re cooked, as they turn into super juicy little spheres that burst with intense flavor when you bite into them. 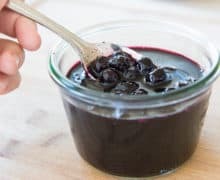 This sauce is simple enough that it goes with many different recipes, like pancakes, cheesecake, and more, but it has a great depth of flavor. 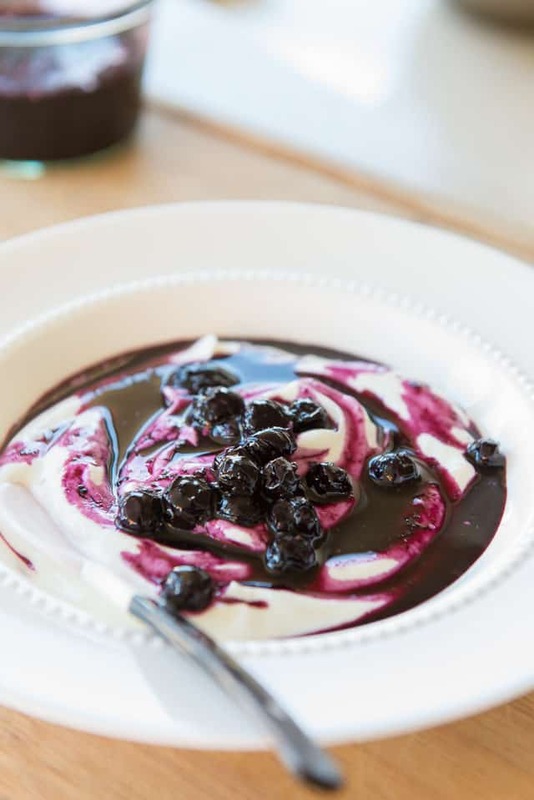 For this recipe, we’ll add some orange to compliment the blueberry, which makes it much more aromatic and fresh. My favorite way to enjoy it is stirred into yogurt, maybe with a little homemade granola on top if I’ve got some. 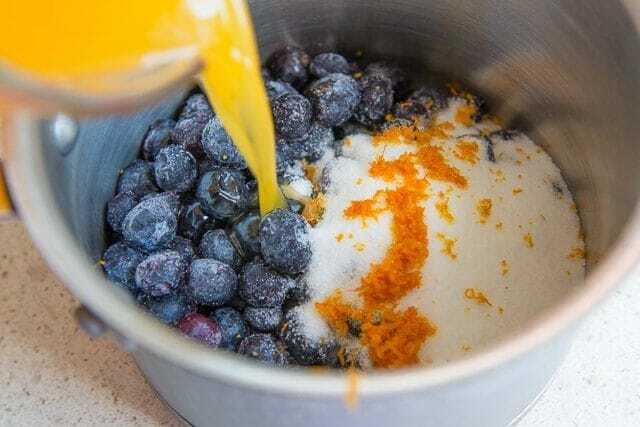 While I’m using blueberries and orange here, this same method can be applied to a whole lot of other fruits. You could do raspberries and fresh lemon juice, with a little splash of framboise. Or you could do strawberries with a splash of aged balsamic. The method remains really simple but you can get really creative with it, especially with the help of a book like The Flavor Bible. To get started, I like to add some form of citrus to compliment the flavor of the blueberries. My favorite is some type of orange, like clementines, tangerine, etc. Feel free to use fresh OR frozen blueberries. Serve the sauce over Whole Wheat Pancakes, warm over ice cream, etc., then chill any leftovers in the fridge. 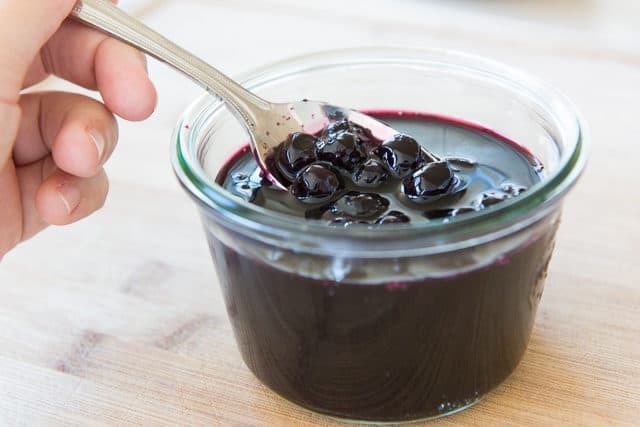 This Blueberry Sauce is great served over ice cream, stirred into yogurt, spooned over pancakes, and much more! It’s incredibly easy to make and has a lovely citrus berry flavor. Combine all the ingredients in a heavy-bottomed saucepan, and place over medium heat. 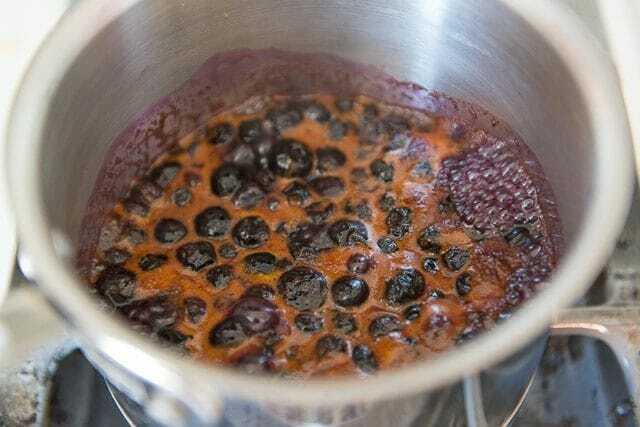 Bring to a simmer, then cook for 15 minutes until the blueberries start to burst and the liquid thickens slightly. Serve warm or chilled, as you'd like. Enjoy! This will keep in the refrigerator for up to a week and a half, and in the freezer for two months. *Feel free to substitute other types of oranges. Post updated in September 2018. Originally published May 2016. This post contains an affiliate link. I am swooning over this combo!! This sauce would be just perfect on a cheesecake or ice cream! YUMSIES. I think this would be a perfect pancake topping, too. I want this on pancakes! This recipe interests me as it does not contain cornstarch which makes the cooled sauce thick and glutinous. 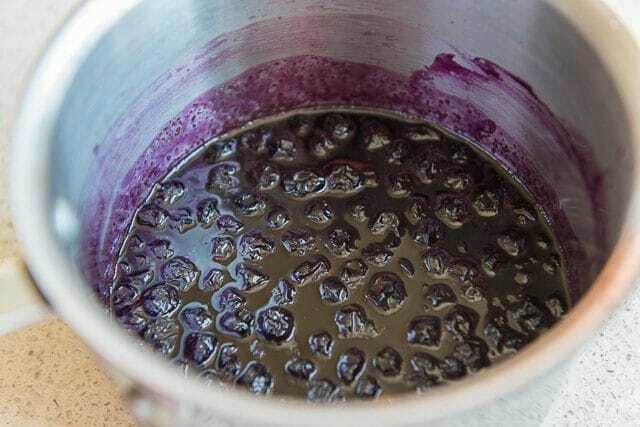 This one looks like a true blueberry sauce. 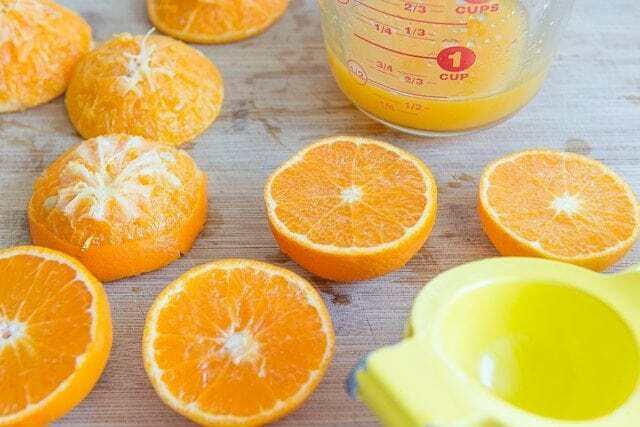 I want to try it with a little lemon juice instead of clementine juice.